"Of particular importance to the Fellowcraft Degree are the Rough and Perfect Ashlars, two stones marking a path for self-improvement for the initiate. The lessons outlined in this degree rely upon many symbols concerning education and the gaining of knowledge as a means of advancing, both morally and spiritually. However, there are other lessons to be gained by examining the stones themselves, notably the Rough Ashlar. An "ashlar" is a rough stone taken from a quarry with the intent of preparing it for use in construction of a building. Its shape is that of a plank or rectangular solid, which would allow its use for paving or exterior construction. In olden times these stones were from "freestone," which meant sandstone or limestone, which could be shaped easily into smooth blocks or other forms. It was the refining and smoothing that shaped these rough stones into their final form and thus "fitted them for the builder's use." For the Freemason, the Rough Ashlar represents his rough state in life and the need for improvement. He is made aware as a Fellowcraft of the goal of being a better man, being more spiritual in his thoughts, and striving for perfection in conduct. A path is laid before him and he is charged to work toward self-improvement. Duties, obligations, and expectations are clearly placed in his hands to work toward a better life. He is taught to "smooth" himself, both externally and internally, and become a true Mason. We, as Brothers, have a duty to ourselves and to our Brother to teach and help each to become better men and Masons. There are other messages contained within the Rough Ashlar. There are the internal messages concerning the quality, potential, and character of the stone. The stone must be of good quality and possess the potential to be a "perfect" stone in its use. It must have no flaws of character, which may cause it to weaken in its purpose or use. Thus, when we look at a candidate for the degrees, we should look carefully at their qualifications and character. The candidate must be of sound quality and have the potential to serve and support our Fraternity. He must be carefully inspected, as the Rough Ashlar, in order that he "fit" in the design of Freemasonry, its tenets, and goals. 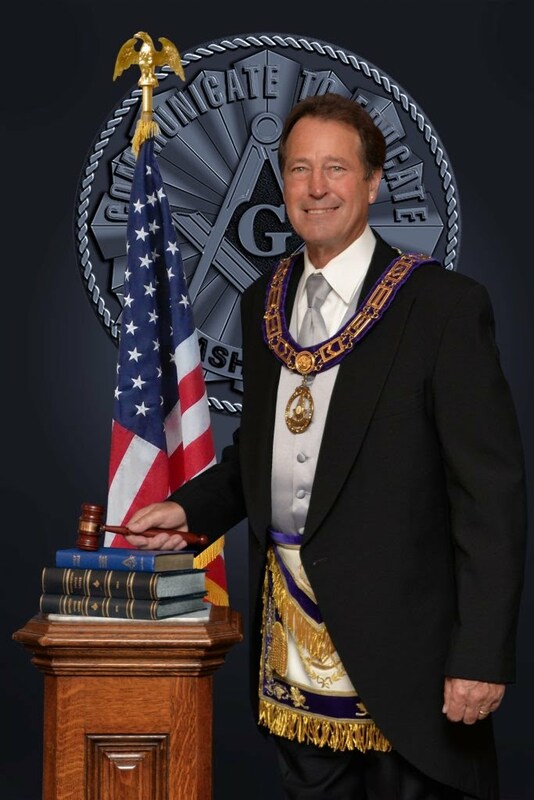 Just as one bad stone could ruin the exterior of a building, or weaken the overall structure, so one flawed Rough Ashlar can bring censure and reproach upon the Fraternity, and thus weaken Freemasonry in the eyes of the outer world. Hence there are three goals represented in the Rough Ashlar. One goal is for us as Masons, one goal is for the Lodge, and one goal is for the initiate. As Masons we must give due attention to our responsibility in educating our Brothers in self-improvement. As a Lodge, we must judge carefully in extending Freemasonry to others, weighing their potential and character as Masons, for they are the future of the Craft. And finally we must extend the hand of Brotherly Love and Affection in order that they may attain their place as "just and upright Masons." Attention to the Rough Ashlar is critical to our future and we should act accordingly."